The Black Knight BG639EX Tour 9 racket bag is a quality, spacious bag that will take up to 9 rackets in its 3 separate expandable racquet compartments. 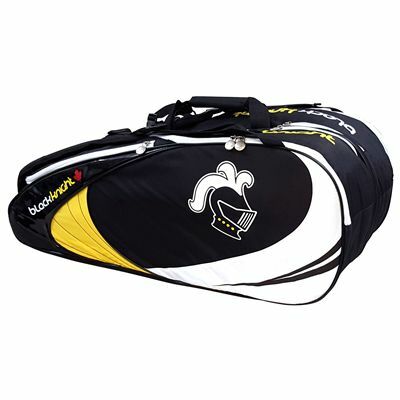 The racquet bag also has two wet-lined vented pockets and two flat pockets in both sides. To carry it comfortably there are carry handles and backpack straps. 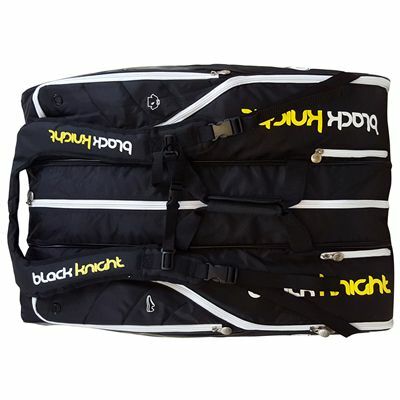 for submitting product review about Black Knight BG639EX Tour 9 Racket Bag.